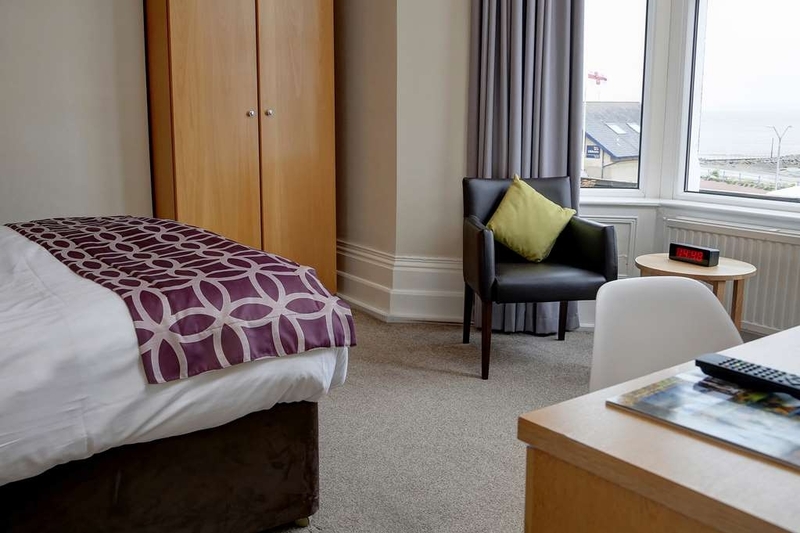 El Best Western Lancaster Morecambe Lothersdale Hotel se encuentra en el centro de Morecambe. Venga y disfrute de las mejores atracciónes turísticas cerca de nuestro hotel. Precios bajos garantizados y ofertas exclusivas. 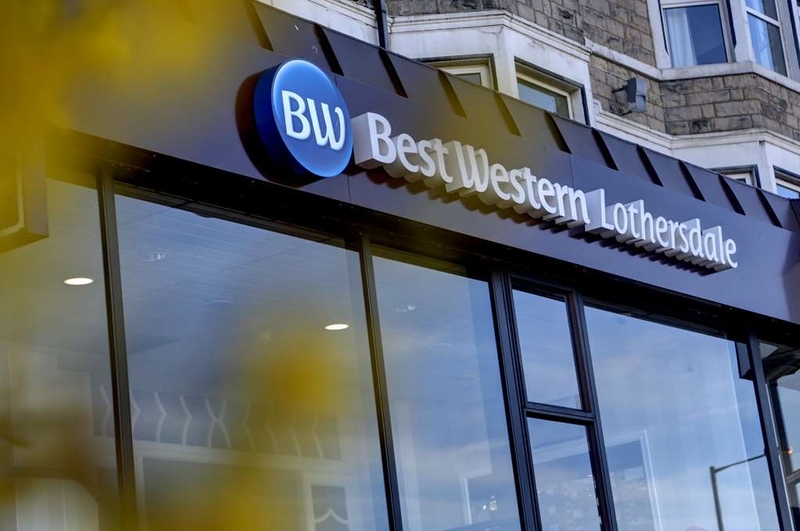 El Best Western Lancaster Morecambe Lothersdale Hotel cuenta con fantásticas vistas a Morecambe Bay y a Lakeland Fells y con una emblemática ubicación en el paseo central de Morecambe con magníficos enlaces por carretera y de transporte público a una gran variedad de enclaves nacionales e internacionales. ¿Qué más se puede pedir que unas habitaciones recién renovadas y dotadas de un completo equipamiento? ¿Servicio las 24 horas? ¿Acceso gratuito a Internet inalámbrico de alta velocidad? Nuestro hotel cuenta también con todos esos servicios en una moderna ubicación que incluye la mejor comida y bebida y un excelente nivel de servicio. Este hotel está gestionado por la misma familia desde el año 1953 y las distintas personalidades y caracteres de nuestro equipo nos hacen destacar por encima del resto de establecimientos. Conviértase en nuestro huésped y compruébelo usted mismo. Lovely hotel. Breakfast really nice. Staff friendly, helpful & polite. The gentlemen at breakfast were very professional. Nice & quiet. Lovely sea views from the restaurant. Would definitely return. Rooms clean with everything you would need. While working in the area I always stay here, I find the place clean warm and bright. The staff are very helpful and always with a smile. Located on the front near to pubs and restaurants. Free WiFi , parking at the rear. 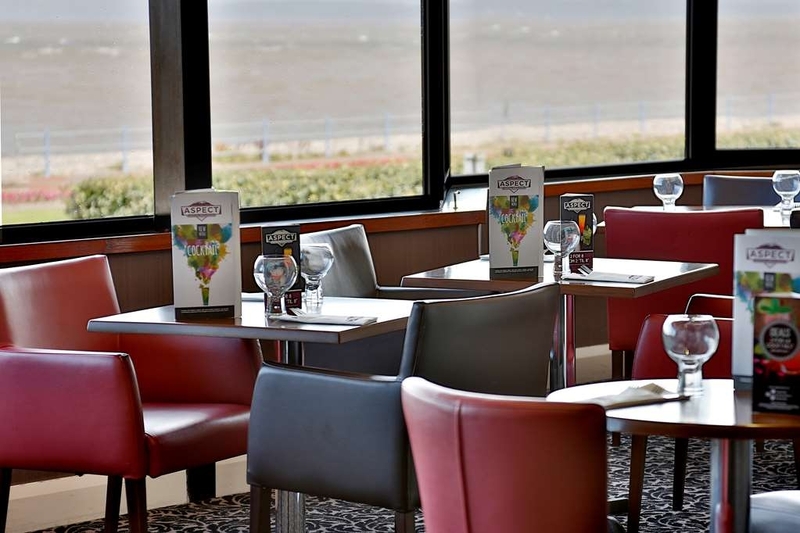 "Nice hotel , good location"
Looking round Morecambe at other hotels us , left us satisfied we had made a good choice. 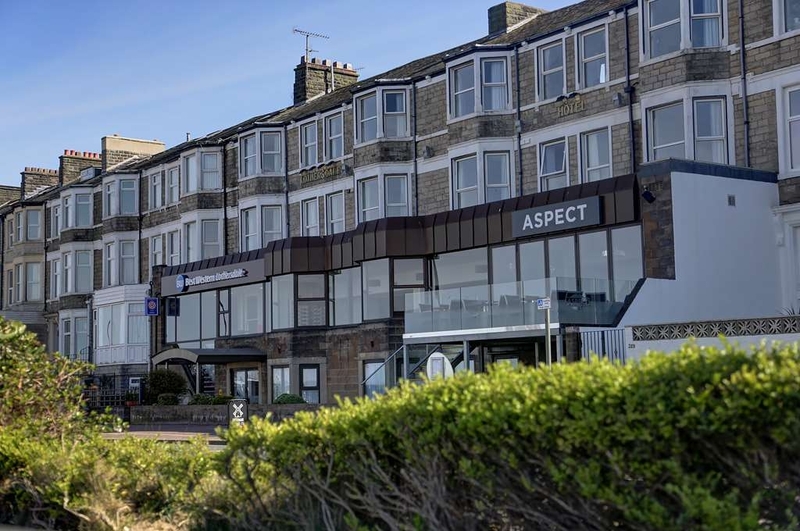 The Best Western is in an excellent seafront location , just a short walk from the town centre. The breakfast was very good and our room was very spacious and clean. 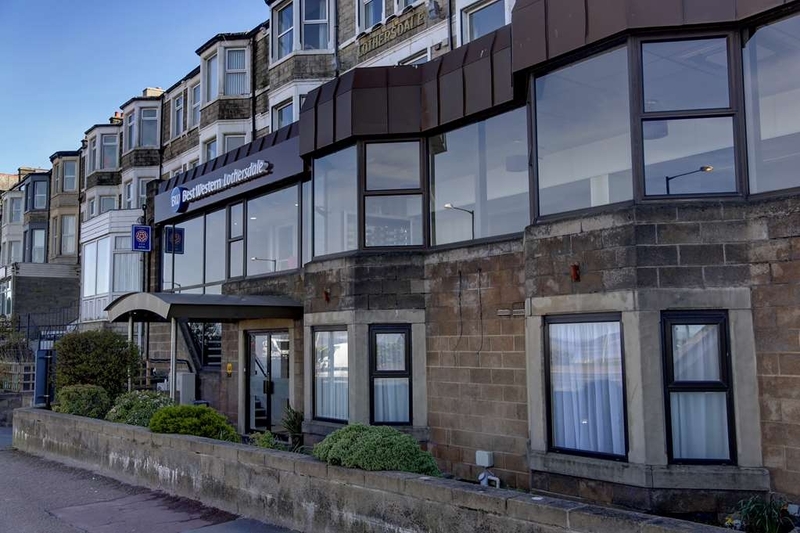 We would recommend this hotel to anyone thinking of visiting Morecambe as it looks better than most of the hotels nearby. 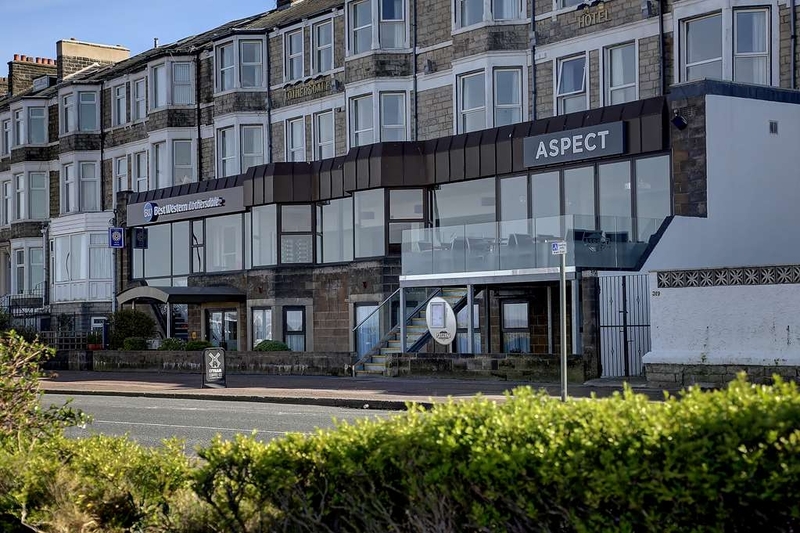 Hotel was on the sea front, within easy walking distance of shops, restaurants & pubs. 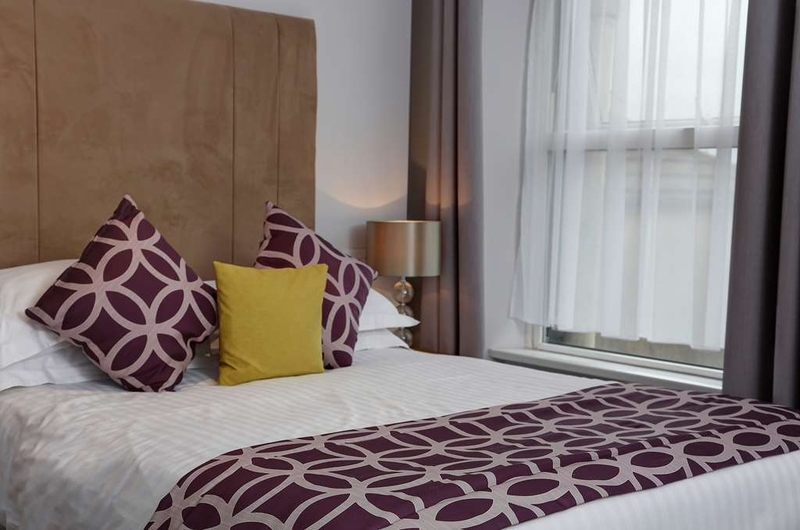 Excellent value for money, staff were very friendly & the room was very clean. Would definitely stay here again, thank you. Two comfortable nights, lovely lady on reception and car parking which was great. The hotel was warm, had a lovely bathroom and shower and we heard little noise during our two night stay. The main drag was a few minutes walk and a number of the local pubs had live entertainment on. Can't fault this premises I will certainly be coming back to it if ever in Morecambe again. 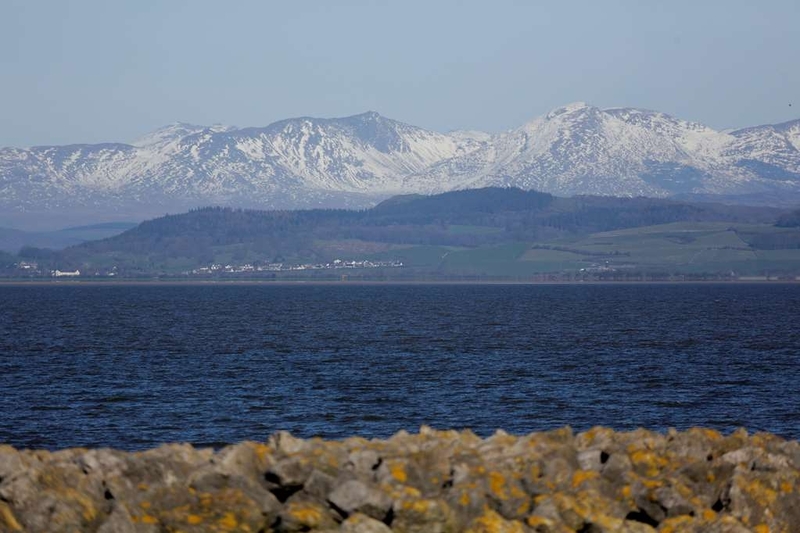 I love Morecambe bay i like the views and i booked a superior room at this Best Western to get a sea view i was not disappointed watched the sun setting turning everywhere red and woke up next morning to that view over to the lake district. I only stayed one night i wish i had stayed more but i will be back. Good hotel staff are great food is good Morecambe a bit run down like all seaside towns and it was February but the weather was great. "Beautiful location - breakfast was delightful watching the mist rise over the hills." The rooms were adequate and extremely clean - next time I will pay extra for a sea view. Breakfast was very good, all fresh ingredients and lovely bright orange egg yolks. Our only concern was the bar menu. It advertises 'tapas' which suits me as I cannot eat large meals but this is no longer available. No sandwiches or soup either. Disappointing. We stayed here last weekend and were suddenly woken by builders in the room above at 9am on a Sunday morning. Yes Sunday. Planned work as well. Banging, drilling, sawing, the lot. We were offered £7 compensation, staff were rude. I asked for a manager to ring me re this issue but no one has so I just rang them. No apology and no refund. Steer clear of this hotel and choose another as there were other issues also. The hotel is being improved from what seems to be a "seaside" hotel. The lounge, bar and restaurant are really nice and the food is magnificent. The only thing I would say is that as a BW 3 star hotel a few things would need changing - the door in my room let a lot of light in at night. There was also a bit of a strange smell from the bathroom but this disappeared after a day. Otherwise the staff were VERY friendly and helpful. Would stay there again, no problem and I commend them for the changes they have made. I guess upgrading a hotel isn't cheap so if it takes a little time then so what. "Typical seaside town experience ..."
This is a typical seaside 3 star hotel. The fabric of the building has seen better days, but its generally clean and tidy ... however, be aware the hotel layout is higgelede piggildy. Our room was reasonably furnished and tidy, but there were some niggles like the kettle doesn't fit under the tap, the radiator was not working (it was -2 outside) and the duvet was so small it did not cover two people in the bed. Wifi was strong, so was the TV signal. The small car park is round the back down narrow back-streets. All the crew are friendly, smiley and want to do a good job serving you. The cold buffet breakfast in the morning was reasonable, with plenty of nuts which I like, but my scrambled egg was scraped off the bottom of the pan, which was not pleasant. We got a deal so I adjudge what we got as just about reasonable for the price paid, but I'd not have been happy if I'd paid the full-rate. "Afternoon Tea overlooking the sea"
As we live in Morecambe my friend and I often visit The Lothersdale Hotel/Aspects Bar. It is situated in the centre of Morecambe on the promenade. I last went there for Christmas Day lunch however we have had some lovely evening meals there or we have just popped in for a coffee but we had never had Afternoon Tea which we had promised ourselves ages ago. When we arrived we were shown to our seats in the Aspects Bar area overlooking the sea with the Lake District in the distance. A delightful, friendly waitress called Kelly was very attentive throughout asking us if we would like any more coffee or tea etc. My friend who is vegetarian had let them know beforehand so our sandwiches were already served on our own plates which I thought was an excellent idea. On the cake stand was scones with ample jam and cream (that you spread on yourself), lots of little cakes and a lovely mousse type desert each. As we were full, I ended up taking some cakes home with me in a little brown paper bag that the waitress had given me. My friend and Iwill definitely be visiting again! "Pleasent hotel with good restaurants "
The hotel and its staff do their best to please despite the limitations of the building. The food in the restaurant is excellent in quality and value. The hotel has had a refurbishment however there are limited options with a building of this age and style (do not use the lift unless you need the thrill of an adrenaline junky) stairs are better for you anyway. I would recommend this hotel to couples and single travelers alike not so sure for families. 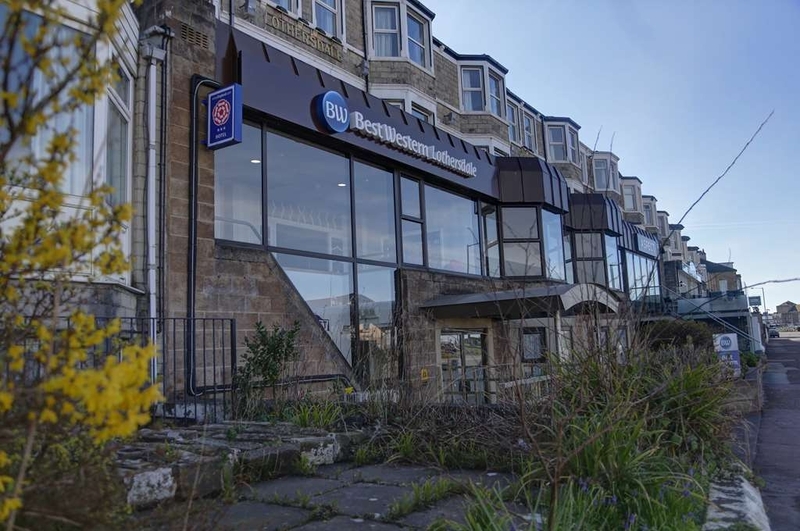 "Good location, nice layout, rude staff"
The location of this hotel is great with it being by the prom. The hotel itself is also really lovely with big rooms, nice bathrooms and a cocktail bar. However, I found the staff to be very rude, especially the lady behind the front desk. Not accommodating at all and in fact ruined my visit, which should have been relaxing and stress free due to it being for business purposes! I was spoken to in a disrespectful way on multiple occasions. If you can get over a rude member of staff, then yes this hotel is great. My wife was speaking at a ladies meeting and I was on taxi duty. I had four hours to kill in the hotel. Amongst other things I decided to eat and had an Aspect Burger. It was literally one of the best burgers I've ever had and the chips were perfect as well. The staff were helpful, kind, attentive and welcoming, especially Hannah. I know it's only a burger but it was great! Stayed here for one night, room was very small and mattress sagged at one side making you roll out. En suite was cramped. Upstairs in the hotel was particularly run down. The lift was interesting! Goo off street parking. Did not eat in the restaurant. Probably would not stay here again if in the area. I stayed here as a solo visitor. 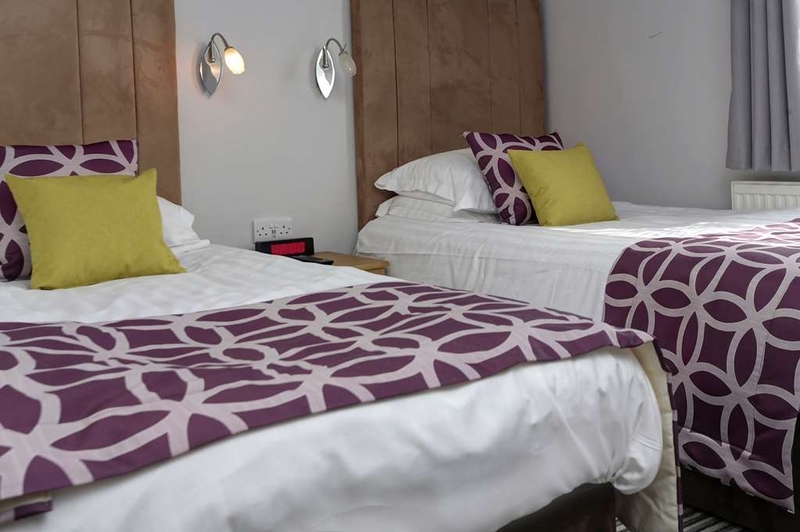 The hotel has undertaken a refurbishment which means it is new but in an old shell. The price is reasonable the breakfast great. Room was clean, the shower was great. I would definitely stay again. "Disappointed with best western "
only stayed one night thankfully, I'll never stay here again, the owner seems to think he's basil faulty but without the charm!! Parking is very limited and being on the sea front if you don't get a spot your stuffed, the food was awful too. "Good view shame about the rest"
Great view of the bay. However you don't spend all day looking at the view. We had a very small room. There were hairs on the toilet. Very poor sound proofing, if anyone snores in an adjacent room, you will hear it. A bone shaker of a lift. Pay a bit more and stay somewhere nice. "Great hotel on Sea front"
Good hotel right on the sea front. Staff are very helpful. Rooms are slightly dated but comfortable and clean.Free parking is available on site at the rear of the hotel.Breakfast was very good with little or no waiting. Hotel located centrally for everything, parking limited but were lucky and got a space. Twin Room on ground floor was great only problem beds were a bit creaky. Breakfast was a bit of a calamity on the second day more order needed with the service however food was lovely also ate in the restaurant and burger was really tasty. 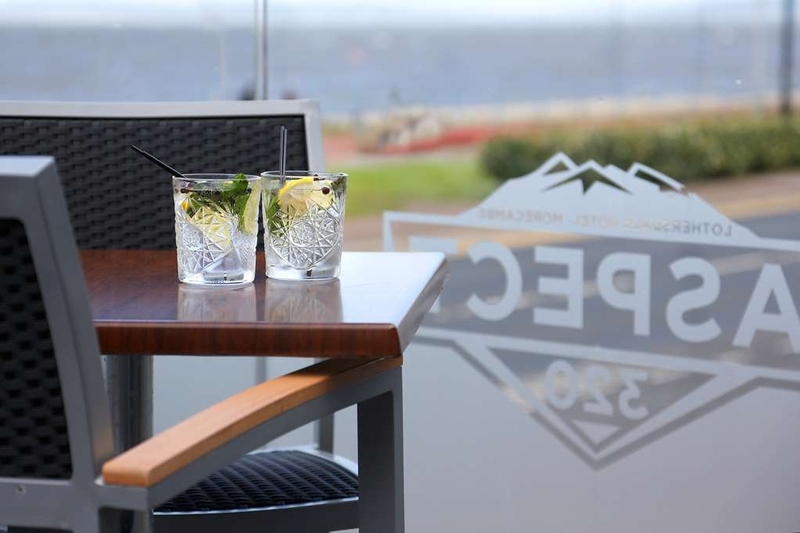 Plenty of gins to choose from in the bar and views are amazing. Thanks to Margaret in reception for all your help. Stayed here last night with our two daughter's, booked two rooms and both were lovely and spotlessly clean. Comfy beds, friendly staff and cocktails £4 in happy hour (well happy 3 hours!) - would we stay here again? - definitely!! "A loverly place to stay"
Having read some of the existing reviews for this hotel I was filled with a little intrepidation but I hadn't have worried. On arrival o was greeted warmly on reception and given a key to a decent enough room but the best surprise was the professional and friendly welcome given by ‘Dan' in the upstairs bar and restaurant. I could not be more pleased with the service and the food. I would definitely stay here again and would highly recommend the place. "Average hotel which provides good food"
I was a little disappointed in the hotel as it is a Best Western and they are usually of a good standard. The common areas looked in need of refurbishment. We booked a superior room with a sea view; the room itself was acceptable but the shower/toilet was very small making it difficult to turn round. The best feature of the hotel was the food which was of a very good standard. We ate twice in the bar area where you could choose from the bar and restaurant menus. The staff were friendly and helpful in the bar (and restaurant at breakfast time) and at reception. Had a really nice little stay in this hotel, was clean and tidy. The downside was it's very old so everything creaks, doors, floorboards, you name it! Which is annoying when upstairs move around as you can hear everything! The food in the restaurant was very good and would definitely return for a cheap night away. "Ghastly creaky and dated beyond quirky"
Firstly the staff are very nice and pleasant I cannot and will not fault. But .....the beds are awful, cheap and way too hard. The walls paper thin and you can hear everything, there is a constant tapping from somewhere in the hotel that resonates in the room I am writing this at 5:40am not had a full constant hour of sleep just snatched half hours here and there, and I normally sleep like the dead! The cold water is non existent, tv remote covered in? I hate to guess, the light coming from the door frame is like a scene from a poltergeist movie and lights the room up. Towels are now used to block it out. I cannot wait to go to work today so I can get out of here, still have one more night to go, I am seriously considering not staying the other night and paying for a premier inn out of my own pocket in the next town, at least it's modern and of decent quality with comfortable beds, I never liked the 70's and staying here takes me right back. I hate giving negative reviews but I cannot recommend this Best Weston at all. Truly ghastly the only saving grace is the sea front position but sleep in your car overnight in the sea front car park. It's more comfortable and you won't hear the world around you talk, snore, fart, pee, cough, breath, and walk the creaky plank. I wanted a cheap, clean hotel for four people to rest their heads. We got a cheap, clean hotel to rest our heads. Rooms are tired and dated, as is Morecambe, but they were clean and they had all that everyone expects from any hotel room. I can't say much more. We wanted to sit and enjoy a cool beer in the nicest part of the hotel, the outside terrace but, they were closing at 21:30 hrs. The staff were nice about it but still? So my Son and I had to stand on the pavement at the front door to enjoy the evening air. Since 16 I've travelled with work as well as pleasure and I've stayed in many a hotel and many a Best Western around the world, however many UK Best Westerns are below par. The company I am working for today had booked me in this hotel so I arrived with basic expectations, however I am very happy, clean and present room, very good shower and apart from the police going past at 7 ish with full blues and 2's even though there was nothing else around a very peaceful night. Arriving in breakfast to very pleasant and professional staff who cared. Food was well cooked and presented and for once hotel poached eggs were perfect. (Chef Kev happy when informed of this), staff Paula, Sam Matthew couldn't do enough and I will be back when over this side of the hill again. Thanks guys!! Have stayed here before overnight when room was a little dated, but the room this visit had obviously been refurb. It was in the hot weather with no air-con but they did provide a fan which helped a little but noisy for sleeping. Staff excellent, very friendly and breakfast very good and will keep you going all day. Position very good right on seafront. Not a bad hotel at all. We booked direct and got it a little cheaper and breakfast was included. The room was a little small but it was nice and clean, ok for just a nights stay. The breakfast was nice lots of choice. When I booked I did request a room with a sea view but we were at the back, which was a shame really. For what we paid it was ok, no problems at all. Even if you couldn't park at the back there was lots of parking at the front. The receptionist in the morning was lovely really helpful and very pleasant. This hotel was spotlessly clean. 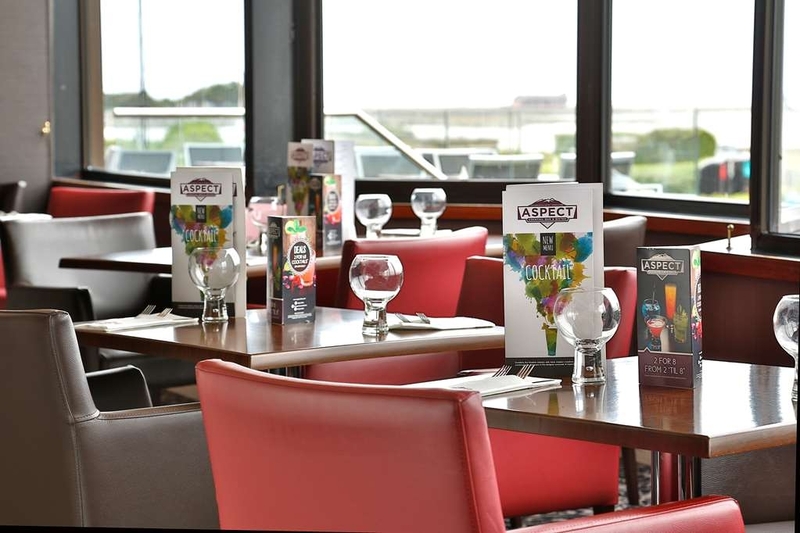 The staff were excellent and helpful and the bar food and breakfast were really nicely presented and good. A very good price. 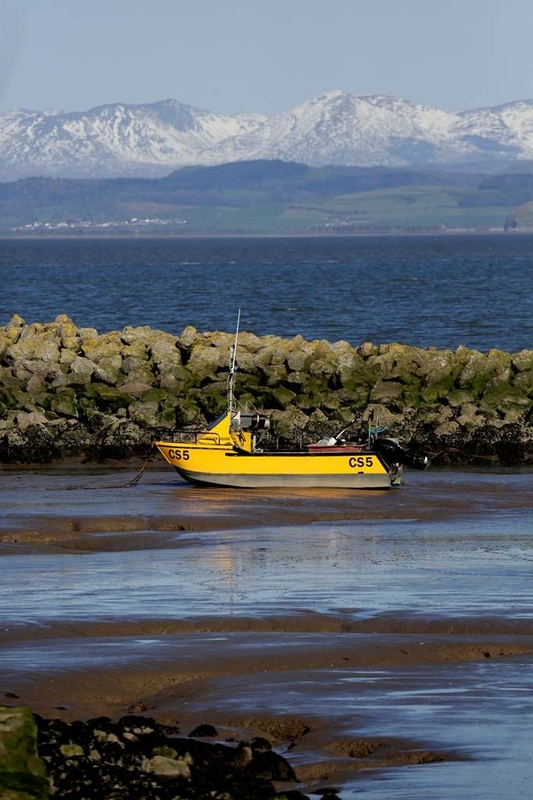 Right on the bay of Morecambe and within a couple of minutes from town centre. "Nice view of Bay, Horrendous, dirty, dated hotel"
Without doubt the worst place I have ever stayed. How this place can be called a best western is laughable. I had originally been planned to stay here for 10 nights but decided to leave after just one as I simply hated every moment I spent there. The only good thing I can think of to compliment the place is the view of the Bay from the rooms located at the front. I can honestly say I have stayed in better, cleaner, nicer B&Bs in Blackpool when I have been away for boozy weekends with the lads. From getting in the lift which felt like I was trapped to getting to my room was enough to put anyone off. The lift felt unsafe to say the least, when I arrived at my room I couldn't believe how dated the room was. It was literally quite disgusting, with filth and dust all over. I decided not to let this put me off, and thought I would give the food ago in the restaurant. Unsurprisingly, the food was an absolute disaster, I asked for my steak medium rare, and of course it came well done like an old boot, full of gristle and fat. When asked if the food was ok by the clearly inexperienced waitress, I said that it was far from my expectation and that the meat was horrendous, at which point the waitress, and later the manager, both used the meat provider as an excuse….surely if they know the steaks provided are so bad, then why continue to order from them. My pint of Stella was also warm and flat. By this point I had no option but to go back to my room and try and get some sleep. The room was absolutely boiling hot, I understand that in July when I visited, was a particularly warm time of the year as the whole country was experiencing a heat wave, but it made my stay even more uncomfortable as there was simply no ventilation or air conditioning. I believe my company were paying £140 a night for me to stay at this hotel which is absolutely ridiculous. I personally wouldn't pay £30 to stay here out of my own pocket. That night's sleep was minimal as my room was situated directly above the hotel bar, which people were in till late. Thankfully I remembered I had some ear plugs in my bag which I used for work, so I decided to put them in which helped for a little while. Un till, I was woken up at 3am by other guests partying next door and making a racket on the landing, using it as a communal get together area. These guests were up all night, eventually calling it a night at 5.15am were I heard them say good night to one another. This left me with an hour and 15 minutes to try and get some sleep before getting up for work. How could managers or staff possibly let other guests get away with behavior like this? By this point I had already made my mind up that I would do anything I could to try and find alternate accommodation for the remainder of my stay in the area, and by doing so, made as much noise as possible when leaving to wake the other rude guests up at 6.30am. I would avoid this place like the plague in future. If you like awful food, and disgusting living arrangements then this is the place to be. The people who have put positive comments on here about this place must be deluded. The only nice thing about it is the view of the bay, and if you have a room at the back, you won't even get that. Managed to park in the small car park before going to reception. Check in was quick and very pleasant. Room had a sea view and was clean and satisfactory for my needs. When I returned at about 10 pm and tried to collect my key there was no one on reception. Having waited for 5 minutes the first night I saw my key lying on the desk and picked it up. The second night I walked up to the bar area and one came down to get it for me. Not too secure!! We booked direct through Best Western rewards and got a great deal on the room and breakfast. We up-graded to a superior king size room and requested a sea view and this is what we were given- a fantastic view across the bay and the Lake District hills. The room was very nicely furnished and decorated in a bright modern style. 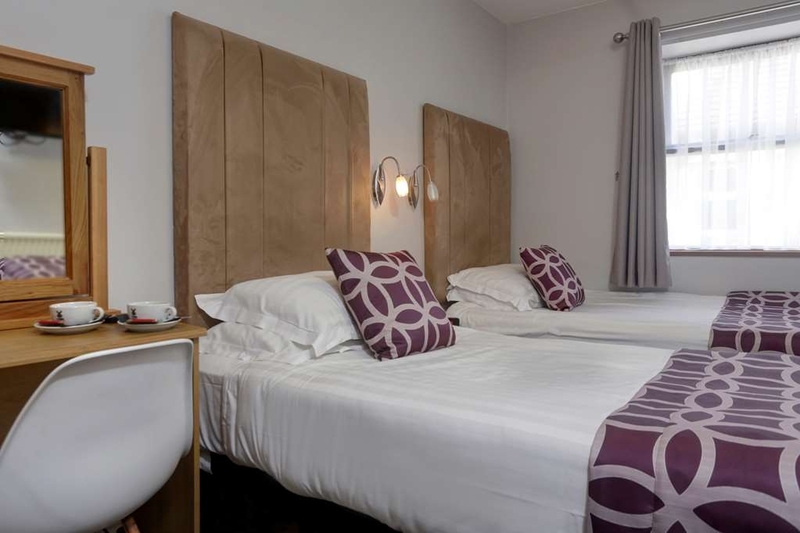 Comfy bed, good bed linen nice modern bathroom with large walk- in shower and plenty of nice white towels. Also supplied with toiletries, hairdryer and a well-stocked hospitality tray. We had a drink on the bar's terrace which was lovely in the hot sunshine and drinks were good value during "happy hour" from 3-7 with Stella at £2.50 a pint and cocktails from the classic range at £4.00 each. We ate in the restaurant at night and had the "wine down" menu which is 2 courses and a bottle of wine for £40 per couple. The menu was limited as it was a Sunday but the food was quite good. Breakfast next day was excellent. Good choice from the menu and good quality with local produce. Some of the staff were very good, especially the lady on reception but waiting and bar staff do need a little extra training in customer service as they were a bit miserable. "Fine for Just a Night"
The hotel is in a great seafront location, and the bar and restaurant appeared to be doing good business when we were there. However, we neither dined nor had breakfast there so I can't comment on the food. Our bathroom, devoid of any towel rail and with just one hook, appeared to have been redecorated fairly recently, but the rest of the hotel had a somewhat tired air. Our room was on the ground floor at the front of the hotel and was a little noisy, both because of proximity to the bar, and also in terms of road noise in the morning. There was nothing fundamentally wrong with Lothersdale, but when compared with another Best Western hotel we stayed in just a few days previously, it seemed a bit lacklustre and pricey for the standard of accommodation offered. Book in was very efficient, reception staff - very friendly and helpful. The hotel is right on the seafront and very close to bars and restaurants. 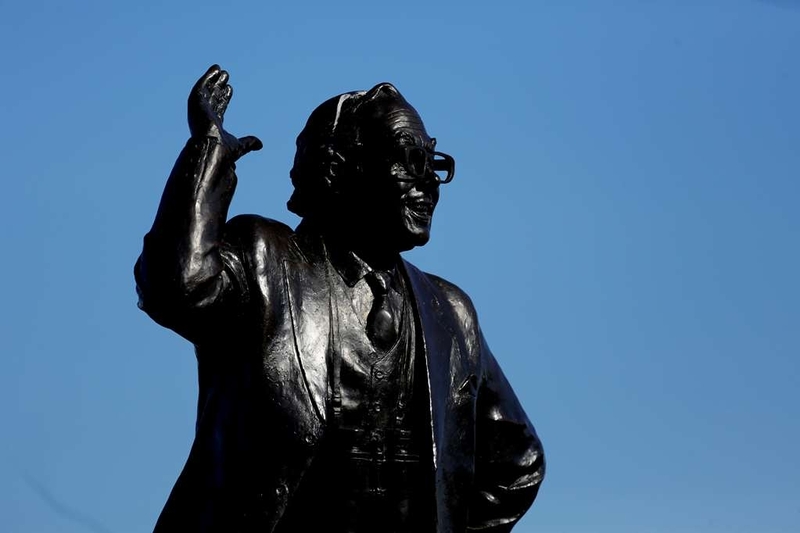 Eric Morecambe's statue is very close, too. Parking is at the rear and quite tight. Stayed one night in this Hotel, not great. Checked into room 116 on the first floor overlooking the back door - very noisy. Bedroom had twin beds, very old fashioned and in a desperate need of refurbishment. The bathroom had been re furbished and was nice, although very small. One of the lights in the room was out and needed replaced. We found women's sanitary ware at the bottom of the bed which had been used -not what you would expect from a Best Western Hotel. Breakfast in the morning was ok. I think there are quite a few mischeous reviews against this hotel on here.I stayed here with my wife on the sunday bank holiday and had an excellent time.The weather did help as it was stunning.We upgraded to a superior room with sea view which was excellent.Stunning views of the bay and lake district mountains in the background.The room was well equipped with a large mondern shower area in the bathroom.There was also the new "handy" phone in the bedroom on its own charger unit.First time I have seen this an android phone you can take around with you and make free calls use the intetnet etc.provided by the Hotel.Nice touch.The cocktail bar terrace was a bonus especially on a sunny day but not many tables...so need to be quick. We took advantage of the happy hour on cocktails 3pm -7pm which were very reasonably priced at €4 Stella beer £2.50.and sat on the terrace in the late afternoon enjoying the sunshine. In the evening we ate in the restaraunt and had the local spicy shrimps as a starter and both had sirloin steak as our main, one with pepper corn sauce and one with blue cheese.Both courses were excellent unfussy good quality food made from local produce.The bonus was for me the pepper sauce! Amazing how many times I have had this combo and its been let down by the sauce but this was the best I have had for a long time...I need the receipe!Breakfast was also excellent again great local produce..sausages bacon and black pudding in particular.One slight negative morning staff were a little miserable but it was 7am!All in all a good value excellent stay. Will definately return. Unfortunately our stay at the best western left much to be desired. We were not informed of the parking facilities so had to pay for parking nearby, the lift was appalling and felt so unsafe we didn't use it again, bed sheets were torn and damaged, bed covers were stained and unclean, tables dusty from excessive lack of cleanliness, and the noise from neighbouring rooms was very loud. Beds were extremely uncomfortable, and WiFi didn't work. Wouldn't stay again. "Lovely break by the seaside"
Booked the hotel as visiting family in the area and was so impressed by location, and value for money. 100% recommended, the communal areas (especially the lift!) could do with an update but otherwise very enjoyable. Will return for sure. "Great shower in the morning"
But not much else going for the room. A 1980s time warp of MFI furniture which was tired, shabby and in a good need of updating and cleaning. Broken and dirty electric sockets and lumpy mattresses on the beds. Very disappointing. "STUNNING views from our room"
We had a lovely overnight stay here. We paid more for a superior room with sea views - what a treat! Check-in was easy, and quick, and the staff on reception changed our designated room to one which would be quieter as well as offering better views - really thoughtful. The corridors were a bit old fashioned (that was ok - we weren't sleeping there!) but the room was ideal - nice size, modern and contemporary, rain shower as opposed to a bath, good quality beds, hospitality tray, and that view! Morecambe Bay has the most amazing sunsets. Breakfast the following day couldn't be faulted, very helpful and pleasant staff, and individually served food. So many hotels do a buffet breakfast, even for a full English, but the Lothersdale has waiter service which adds that extra individual touch. We thoroughly enjoyed our mini break, and we'd happily return. Very pleased with our stay, the facilites, the staff, and the general ambience. 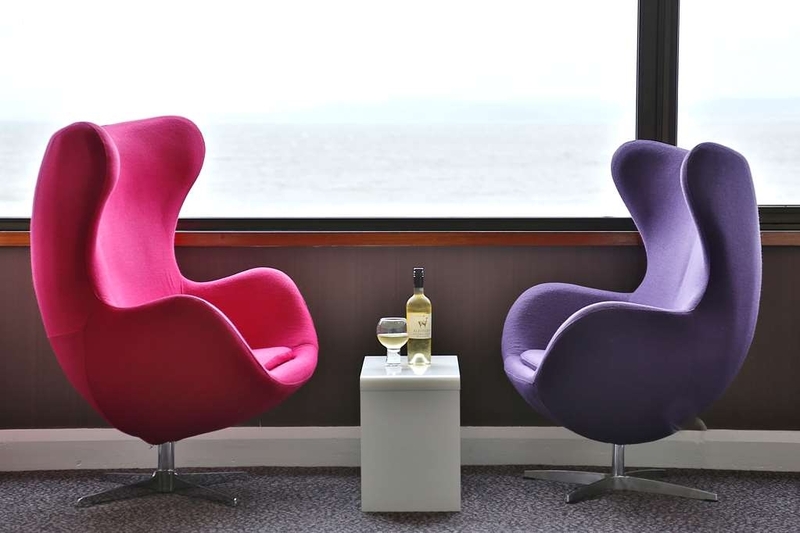 We'd recommend it as an excellent hotel to stay at in Morecambe both for location and the hotel itself. We'll stay again next time we are in Morecambe. I stayed in room 112 overlooking the bay. After being out in the snow and the bitter wind, the room was toasty warm and I soon recovered. Spotless bathroom, large room and comfortable bed. What more could you ask for? Well, the staff need to be interested and helpful, don't they? And they were. Very friendly and very helpful - all of them but Maggie and Dan deserve a special mention. Great value too. 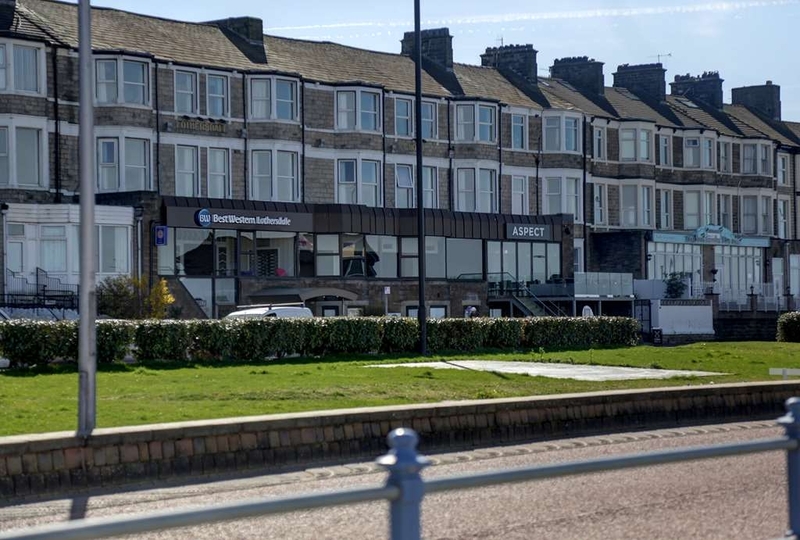 "Very suprised after reading previouse reports"
Dirty carpet, dirty net curtains, dirty skirting boards,husbands knees touched the wall in the loo.such a shame as staff are friendly and helpful and Morecambe is such a lovely place such a shame about the hotel. "We stayed here for Lancaster and Morecambe GinFest 2018. " Our very first “GinFest”. We made a last minute decision to come and see what the GinFest was all about so booked into the Best Western Lothersdale for the Saturday night so that travel inconveniences didn't hinder the chance to make the most of this likely very educational evening... ?? It was brilliant, the Lothersdale hotel staff were super friendly and had us checked in very quickly. The sea view room was beautiful, with views right across to the western fells of the Lake District, all of which are covered in snow at the moment. Absolutely stunning, but the wife was keen to go and enjoy the view of 200 different gins in one room, so before I knew it we were down in the large function room surrounded by said 200+ different Gin's! We both also did the Gin Masterclass the hotel was running which was fun and of course we ate handsomely in the Aspect Restaurant and the food was excellent. Overall, just a fabulous unplanned Saturday. Roll on the next GinFest, and thanks to all the staff at the Aspect Bar and the Lothersdale hotel for their hospitality. First class service and fare. I used to work in Morecambe many years ago so have sampled a few hotels here, this was my favourite thus far. The restaurant deserves a separate review as the food here is extremely good... i guess It doesn't keep on winning all these awards for nothing. We stayed at The Lothersdale from the 9th to the 11th January 2018 occupying five rooms. We had gone to Morecambe to attend the funeral of a family member. From the moment we arrived we were treated attentively and kindly. Nothing was too much trouble. The staff were brilliant, in particular Margaret on Reception and the Restaurant Manager. We will definitely return. We stayed at the hotel for a pre Christmas break on the 18th and 19th December the hotel staff where brilliant and nothing was too much trouble for any of them, there was a mix up in the restaurant when we ordered a £20 bottle of Proseco and we where served a £175 bottle of Krug Champagne,the restaurant manager said it's our mistake so just enjoy your drinks and he charged us the price of the proseco, the food in the restaurant was very nice and cooked to perfection, our room overlooked the promenade with fantastic views over Morecambe bay, we wish everyone at the Lothersdale Hotel a merry Christmas and happy new year and we will definitely return for another break. We had superior room with a sea view and it was nice to walk up with that view. The room was clean and equipped to a good standard, the staff where very helpful as we also had a room for my 92 year old mother and we needed to make sure it had disabled facility's, this was a room on the ground floor and was very big it was easy for her to get accesses to the rest of the hotel. We had dinner in the hotel the food was excellent well presented and good quality, the same for breakfast very good quality and cooked fresh. Just had a great weekend would definitely recommend this hotel to others. Staff very friendly, really enjoyed a meal we had in the restaurant. Breakfast was superb all locally sourced produce very tasty. Unfortunately it is difficult to provide feedback on the Hotel as we didn't actually stay there, we were relocated to the Auckland Hotel on arrival as I was told the rooms were not available as two offshore workers had not retuned to vacate the 2 rooms and couldn't be contacted?? I find that difficult to believe as we had booked the rooms about 6 months in advance via the Ska Festival link! As stated previously, I booked the Hotel well in advance, expecting the rooms to be paid for at the time as provided by my debit card details, however, I received an email from Hotel Reception on Friday 3rd March at 2.30pm, saying my card had twice been declined, which again, I find very hard to believe as no issues with my card with anything else. I rang Reception and gave my card details and no problem, however, why would you leave it until the afternoon, the day before we were due, to contact me, suppose I hadn't read the email and turned up to be told you had not retained the 2 rooms and Festival tickets? It was also disappointing that we had other friends staying in the Hotel and although not far away, we had been separated! When I spoke to reception it was very off hand and not at all courteous! Not how I expected to be treated and when I asked about points, as a Best Western Reward member, I was told I would have to see the manager as they had no idea?? I had the distinct feeling our 2 rooms had been taken or double booked and that we felt very unwelcome, almost as though someone more important than us had the preference and just shipped out last minute! All in all, a very disappointing experience and will think again before booking with Best Western if this is how guests are treated! Heading south and was going to stop at a motorway hotel, but drove into Morecambe, and found this one on my phone. Only a stop over but we had a twin room with sea views. Clean, all you could need. Friendly staff, Breakfast good. Did not have a meal but had a drink before bed. Would use again. Car park opposite, on street parking just between 6pm and 9am. Two years ago we were in Morecambe and had a meal at the Lothersdale which was great, so we went back this time around, what a mistake. We popped in to book a table for 2 at 7pm on Saturday Evening, the receptionist said they were busy at 7pm could we make it 6.45pm or 7.15pm, we opted for 6.45. We arrived on time and chatting at the bottom of the stairs were the Manager and the Head Waitress, we passed them without a word of greeting from them. We entered the Restaurant and met by a young waitress, she had no idea what she was doing, she found the booking and told another waitress, they are marked for table 7 but someone is already at that table, she then said you will have to sit at this table, this was actually a table in the bar area. Our reply was no we have pre booked and that table is not acceptable, at this point the head waitress appeared and told them to split a 4 table into 2 two's giving us a window table. Menu's were brought, we were quite disappointed at the poor number of meals that were available at each course, not even a soup on the starters. I chose Cheese Souffle which was actually very nice and my partner had Prawn Cocktail (nothing much to go wrong there), they appeared with some butter and bread at the point where we had almost finished our starters. We both chose Steak for main, I had Sirloin and my partner ordered Rib Eye, both were ordered medium cooked, we also ordered a side of vegetables. To our amazement the mains were delivered plated. not what you would expect from a good hotel, although the steaks were pink, they were both very dry, accompanied with far too many chips, two halves of tomato, not even grilled or flash fried, a sprig of watercress and flat mushroom, the veg extra was overcooked. We had a bottle of Merlot to drink it was brought to the table, not even opened and left with us to pour ourselves without being asked to taste first. You can tell how uninspiring the sweets were, I can't even remember what we had. We had to get a waitresses attention to order coffee, there were 5 of them just standing around talking to the manager who had appeared. The cost of the above came to over £84 in total for a plated, just ordinary meal, we left feeling ripped off. On marking the little more about it, I can only put not sure as we ate in the hotel restaurant not Aspect. Hi Kev012, Thank for taking the time to write although we're a little confused about your review and feel you may have the wrong establishment. 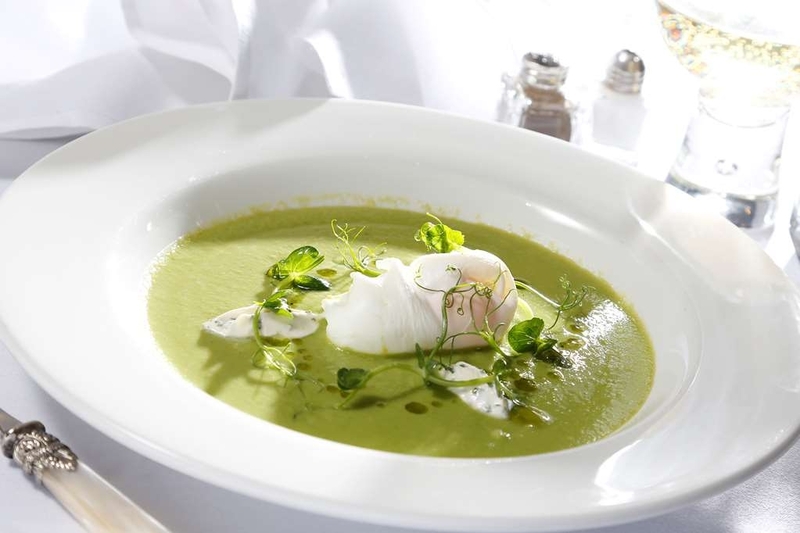 We don't have a Prawn Cocktail on our starter, nor have we had for probably 4 years or more, we do though offer Soup as one of our starters. 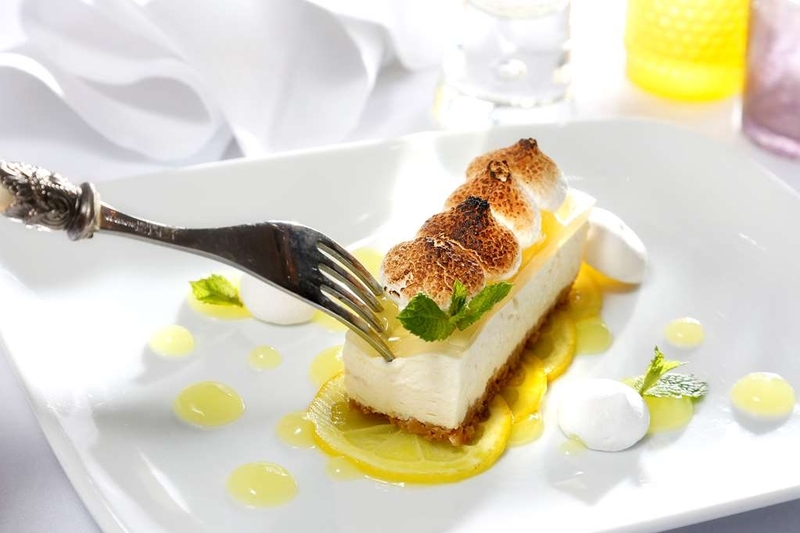 Our menu structure offers 6 options at each course, plus the additional Grill section for main course giving our customers 10 different options. 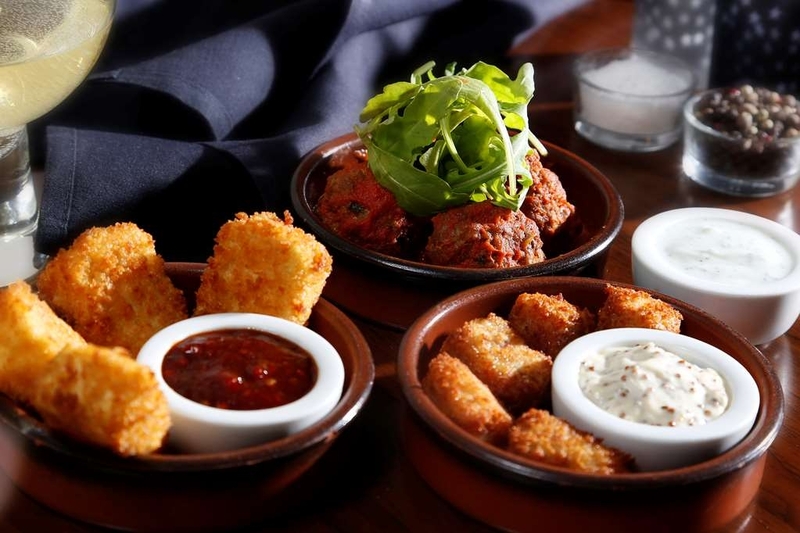 There is also a range of Tapas & Sharing dishes available. Had you visited some 2 years ago, the menu structure would have been exactly the same and we have also always plated all meals. May be you were confused as to where you dined or what you had to eat, but it certainly doesn't read like you ate with us recently. Well done. I've been very impressed with the level of service here. The whole team has been friendly and attentive. Nothing has been too much trouble and they clearly get this from the management. The manger Paul has been fantastic and his team clearly enjoy their work. THANKS!!! "Sunday evening dining, a group of 10"
Think the room had fleas as i got bit on my back more then once. Room very basic and not very clean, other people socks left under bed! Bar food and drink pricey for what u get. Good job work paid for the rooms or i would have wanted a refund. "Lovely hotel with the best view ever." Lovely hotel, on the beach front overlooking Morecambe bay, with the Lake District over the water. The most stunning view I have seen for ages. Get a sea view room. Comfortable twin room. I am ambulant , disabled. Parked in front of hotel, no disabled access, so drove round back, thinking well maybe better overnight in car park. Took us down a narrow ten foot into car park. Access through code locked door. Luckily staff were outside and gave us code to save trip around hotel. The access was tight for wheelchair, there were hanging rails carer had to move . Had twin room and had to move bed over to get wheelchair into room. Not a big problem , but thoughtless really. Would stay again, lovely quiet place , lovely staff. Wanted comfort food and restaurant not that kind. 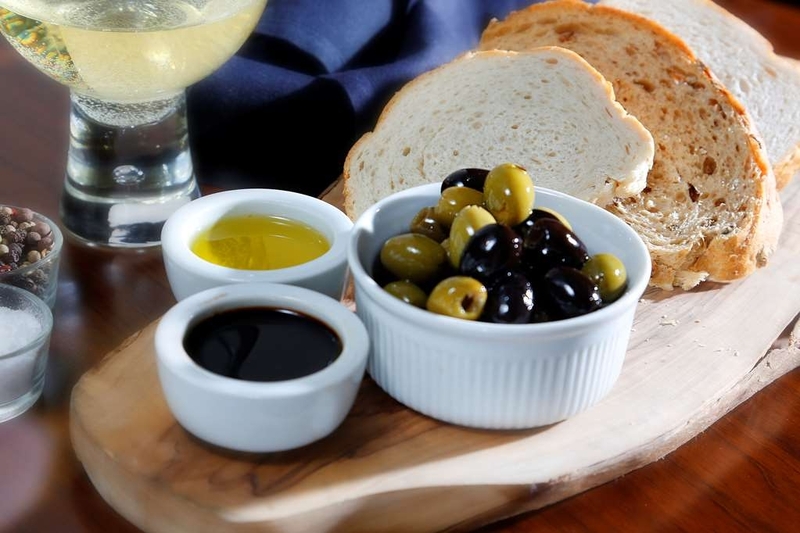 More gourmet, and Tapas as alternative. Found carvery down road. Only stayed one night but would stay again. 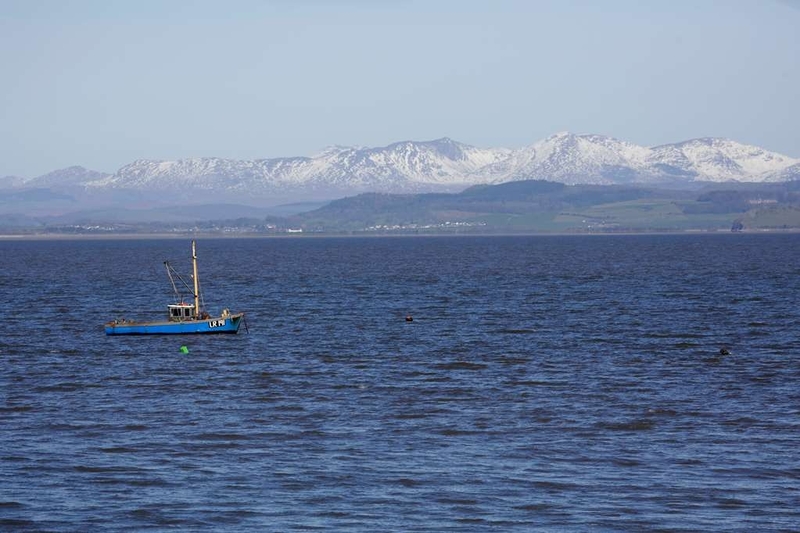 Hotel on front with stunning views over Cumbria and Morecambe Bay. Hotel was well presented, clean and comfy. Staff were friendly and helpful. Reasonable parking to the rear of the hotel. Easy to get to from the M6. "Silver Anniversay follow on trip from Gretna Green"
The young receptionist was absolutely lovely, so down-to-earth and helpful. The hotel was recently renovated so our room was pristine, Seaview room so lots of light. The food was absolutely delicious and was certainly worth its AA Rose. Breakfast covered a good selection and a cooked to order choice. 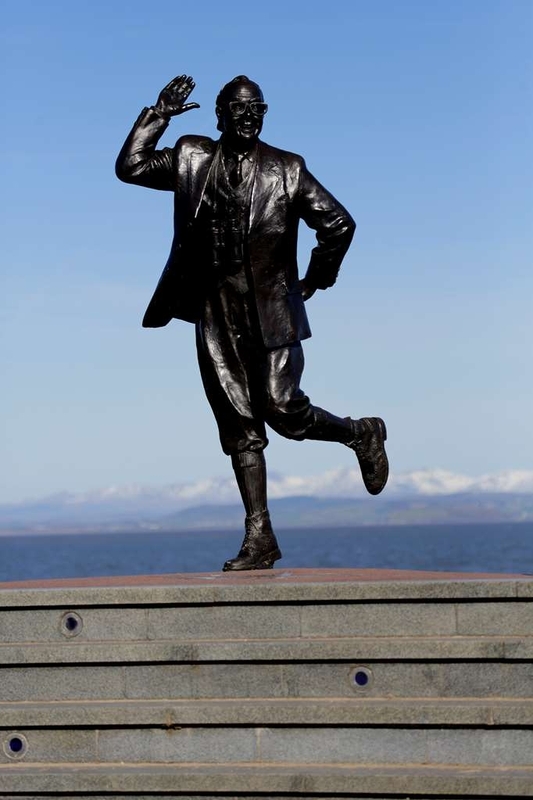 Morecambe itself is not particularly exciting however it's worth a visit and the art tributes to Morecambe and Wise at Weatherspoons in the city centre are worth a look. We enjoyed our walkabout from the seafront to the City Centre, however an overnight stay is enough. We have just come back from a weekend away in morecambe and at the lothersdale and we loved it. We went for my partners birthday treat and we was treated so well of the staff. When we got there we went to our room and it was a little small and my Mrs is clauster phobic and when we asked if there was a bigger room the lady on reception Amanda was brilliant and spoke to Paul the manager and they went off and found us a great room where she was happy and was so comfy aswell. Paul treated her to free cocktails for her birthday aswell and they are 10/10. We also met my mum for a meal in there on Saturday and was excellent aswell. Great place and great staff. Thanks guys for a great time and see u again. "THE HOTEL WAS NOT A 3 STAR HOTEL FOM THE AA." We stayed here using clubcard vouchers, and had been a bit put off by previous reviews, but took the view that if it was that bad we could go elsewhere. As it was, the hotel was fine. The staff were welcoming on arrival, and while the room was small, it was clean, the TV worked, and the bed was comfortable. Breakfast was excellent, drinks prices OK, view from bar/restaurant magnificent. Car park is a little bit tight, but if you're fussy about that, like me, there's a good public car park opposite that won't break the bank (at £3.20 for 10hrs, free overnight). I've not got concerns about the safety of the car park; I just don't want my car dented/scratched. If I was pushed, I'd have two minor whinges: the shower drain was blocked, so I had to pull the drain bit out to avoid a flood (the shower itself was very good though), and we were a bit annoyed to be asked to vacate a table in the bar in case they needed it for diners (who didn't arrive), and move to the Aspect 320 bar next door, which "is a bit more lively". It being noisy with R&B music being precisely why we'd avoided it. I can understand being moved from a dining area, but as I'm distinctly middle-aged, I definitely don't want "lively". Overall though, it's fine. Location is great- town walkable in 5 min, and while it's definitely not the best hotel I've been in it was OK, and not expensive. I stopped here on my way up to Scotland thinking it would be a good place to stop. The location is opposite the bay, which is nice enough. The shops are all run down in the town, there are a lot of rough looking people hanging around. I went on a 5 min walk and was asked for change and drugs several times which was a bit horrendous. The hotel car park is down a very narrow bumpy road. I didn't feel my car was safe there. The room was very small. The tv had lines on it and barely worked. The bar was directly above with a hard floor and was very loud until late at night. The staff were not helpful at all, I interrupted their conversations to ask where to check in/ to get breakfast in the morning. The furnishings in the room were very dated. The room was very cold. I didn't sleep well at all. Overall this experience was terrible and I wouldn't go back. We recently had our wedding ceremony followed by our reception here at The Lothersdale Hotel. We could not have asked for a more perfect day from the room lay out the organisation, friendly staff, and a very high standard of food. We chose to have afternoon tea for our guests.The whole day was perfectly organised by the management team. I would highly recomend this hotel for such a function. Took family on Friday 12th May for a meal. Can' t say how disappointed we were for the meager helpings we all got. You have to pay extra for potatoes and veg!! To top it all my wife was served with a Daqari which didn't have any rum in it. Ladies at the table next to us also complained about lack of rum. All my wife received was an appology on the way out. Not good enough. Will not be going again. Friendly reception on arrival and a few members of staff were attentive and welcoming. That's it for the positive stuff! Everything else was awful to the extent I have returned home one day early. The hotel stinks of damp and sweat as soon as you leave the reception area. As we arrived in the corridor to our room we were met with someone fitting a new carpet and had to step over off-cuts and tools to get to our room door, then had to listen for an hour or so to hammering and banging of said carpet being fitted. Oh should also mention that this corridor has a large bump in the floor which I tripped over. The worst however was our room - really small and stank of what I can only describe as stale sweat. 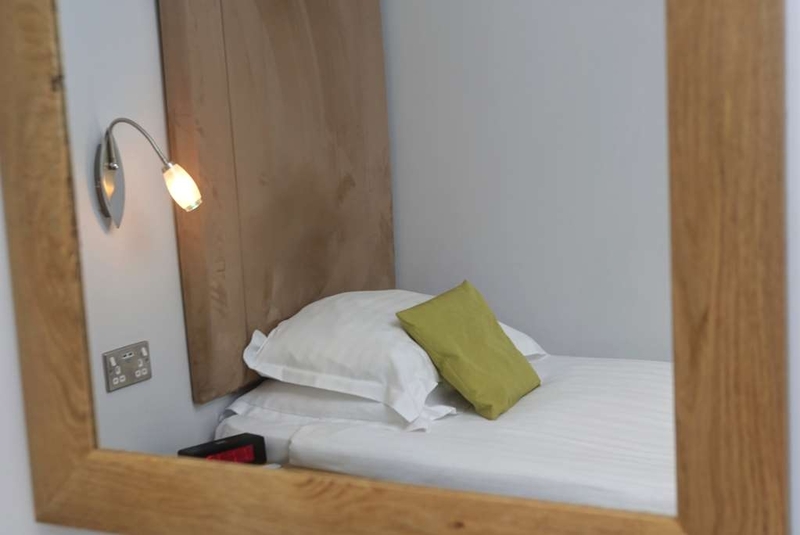 The tiny room we had has to be the worst I have ever stayed in - the duvet and pillows were rancid - not the fresh smelling bed linen you'd expect to find in a hotel. I didn't sleep - the overwhelming smell in the room was that bad. Avoid at all costs. "Great position, pity about the room." First time staying at this hotel, but won`t be the last. The staff are really first class, nothing is too much trouble, they are very polite, and always have a smile for the guests. The beds are comfortable, our room overlooked the bay, so had a stunning view. Breakfast is excellent, and a good varied menu. The restaurant, in the evening serves excellent quality food, albeit a little pricey, but it is obviously freshly cooked and certainly worth the wait. As with anywhere, if you look hard enough you can find a problem, when we had a problem, it was quickly resolved, without question, so top marks for customer service. certainly would recommend this hotel to anyone. Top marks to all concerned. Spent a couple of comfortable nights here on business. It's a fairly basic hotel - nothing fancy, but clean rooms and comfy beds. Lovely views across the bay from the front rooms, but not such pleasant views from the back. Room 14 is over the bar, which means that the bass from the music in the bar is audible until about 10.30-11pm. Best to avoid this room if you want an early night. Most of the staff were friendly and helpful. Lovely Sunday lunch with family overlooking Morecambe Bay. Good quality, good portions, reasonably priced and attentive staff. The starters of hot smoked salmon and Morecambe Bay potted shrimps were exceptionally good. 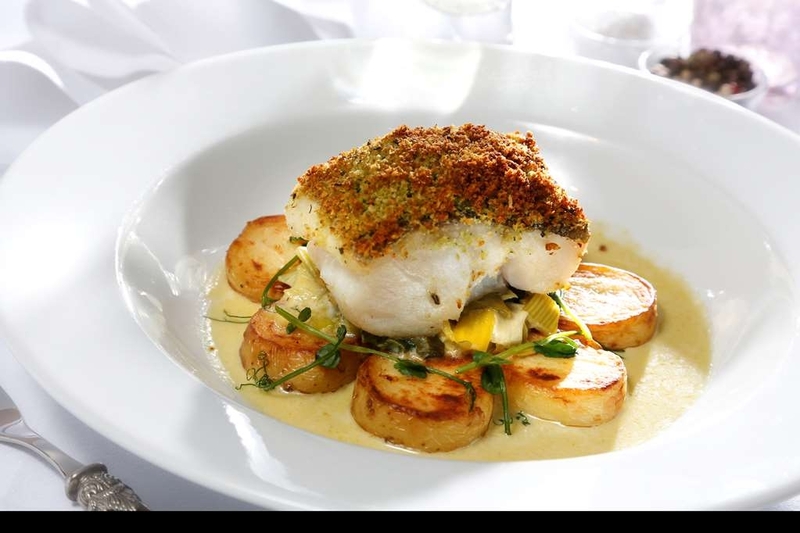 I would recommend the Lothersdale Hotel if you want good food in a beautiful setting. Hotel clean and well equipped but parking can be difficult. Need to park at the front to check in and get security code. Parking allowed for 10mins in delivery bay and then move to private car park at back of hotel. Not big but otherwise convenient. Room we had was ok but rain gutter outside blocked and subjected to 'water torture' all night due to loud dripping noise on window cill. Reported to reception when booking out and they promised to sort it. Food in hotel reasonable price and good quality. Couldn't fault breakfast. 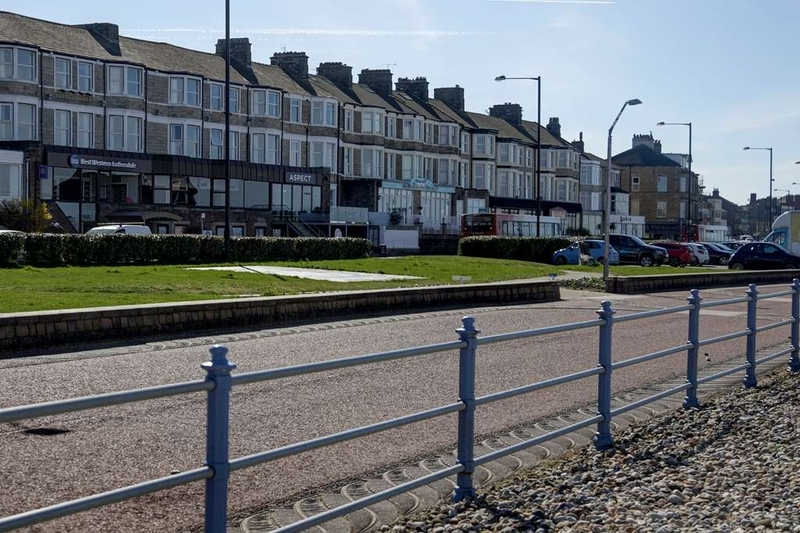 The hotel is on the sea front ideally suited to enjoy Morecambe. Clearly Morecambe is now on the up after many years of decline. Lots of evidence of regeneration. We arrived before the 2pm check in time and the receptionist was friendly welcoming and efficient. We pulled up at the front to check in and then parked round the back after getting the code to access the rear door to the hotel from the car park. Our rooms were fine- no views but given the weather that wasn't a problem. Our room was a good size,comfy bed, tea/coffee, TV. Very nice bathroom- powerful shower, toiletries. Because it is not a new hotel it is a bit of a warren- lots of stairs and corridors. There is a lift but it does not serve everywhere.Work was in progress to improve the hotel. Good night's sleep. Down to breakfast in the restaurant overlooking the sea. I had a Full Lancashire- locally sourced and very tasty. My wife had pancakes bacon and maple syrup and my son had kippers. Tea or coffee plus toast. Orange juice cereals etc. Overall excellent value booking direct and recommended. Stayed here on business. The room was lovely very modern with a fabulous view over the bay. Food was very nice lovely modern decoration in restaurant . Staff very freindly nice touches in the room , pay the bit extra for a deluxe room so cosy. Breakfast was lovely great products. Would stay here again and would recommend this hotel. 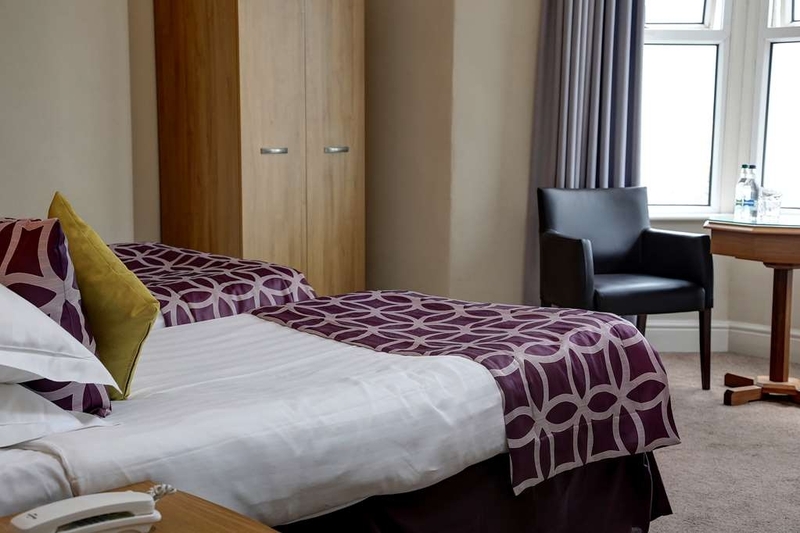 One of the best hotels in the area, close to most attractions short drive off of Junsction 35 M6. I had booked the function room at the Lothersdale Hotel a year ago for my 50th and at a cost of £500 for hir of the room alone. 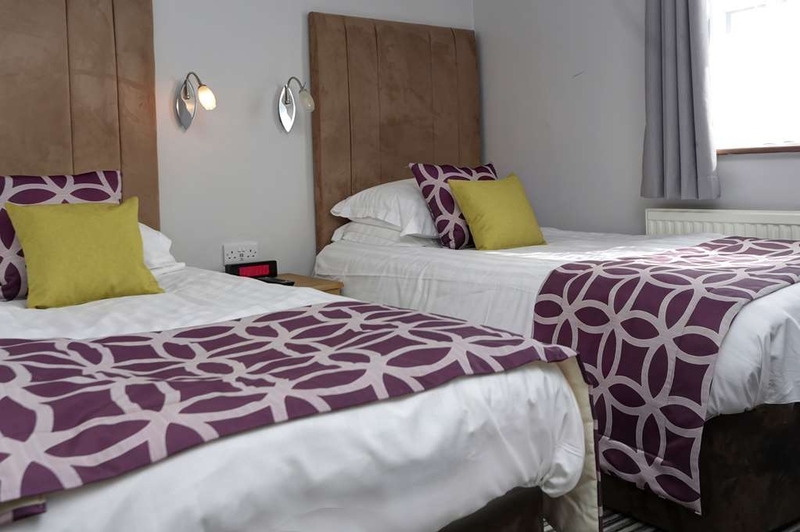 I had a few dealings with two members of staff Margaret and Candice over booking rooms for family etc, and they were both very helpful and very friendly. 4 days before my party the owner, Paul Berry rang me and asked me to confirm numbers as I had asked for 70 covers on the buffet and a 100 chairs and he wanted to know which was it. I told him that was it as not everyone would be eating and some were joking me later in the evening. He very abruptly told me that I had to cater for everyone coming so which was it. I stated 70 as not everyone would come in any event. The phone call ended with no offer of an explanation as to why. I had to ring back and ask why I had to cater for the number of chairs I had asked for and was told it was to do with licensing laws. During both these calls, the owner was abrupt, hgihhanded and dismissive of me. I rang Best Western head office and was told that they operate as a brand and the owner could run the hotel as he wished and maybe it was his local policy. They also apologised on his behalf. My friend, who was helping organising my do, and I then had a meeting with the owner Andrea queried the licensing laws he had quoted. He gave a very tenuous explanation to his reasoning and it was clear to us both it was about money, as the food was being paid for separately. My friend and I did try to get a more definitive answer regarding the licensing legislation he was quoting, but he could not be more specific. I have to say at this point I was regretting booking this hotel for my party, but it was too late to cancel, and besides which, I had paid for the room in full. On the evening, the bar staff were very friendly and professional but when the buffet did start to come out I did query the amount of plates which were out. I asked the staff about this as there didn't seem to be as many as I had asked for to be told they were under strict instructions not to provide mewith any more plates if I asked for them. Later on in the function it was clear there was a lot of food left Andy I was asking a member of staff if I could have it wrapped up am doing I would take it with me at the end. The member of staff was smiling and about to answer me when the owner walked past and told me curtly that I couldn't have the sandwiches as there are hygiene restrictions which had to be adhered to I felt they had been out a certain amount of time. I am not disputing that this should the case, but the manner in which he spoke o be was totally unacceptable. The member of staff looked to me to be embarrassed. Towards the end of the party I was told by a member of the bar staff that the owner was in the back eating some of my buffet! I would have happily challenged him on this but I didn't actually see him again, and if this is correct and he had, then he had absolutely no right! 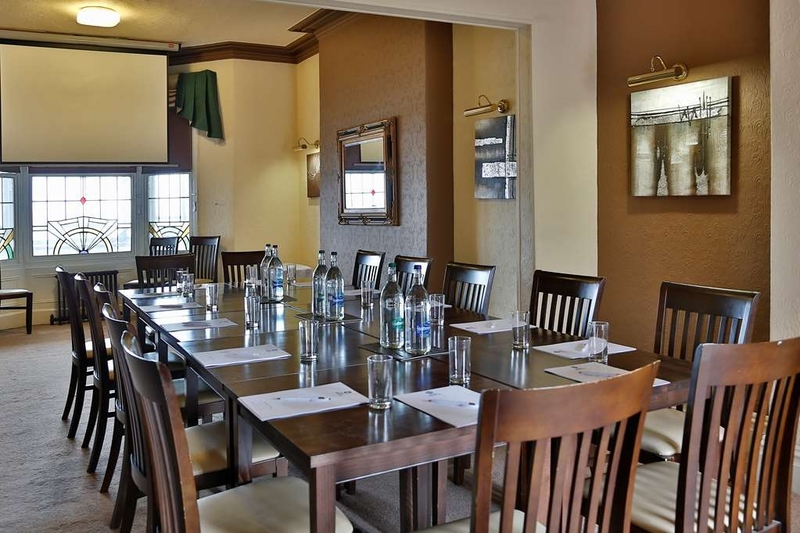 On a positive note, the room is a good room for a function, the staff were lovely and hard working, and the food was of a very good quality. Unfortunately this hotel is completely let down by its owner and there's is no way I would ever use this hotel again, nor would I recommend it to anyone to use, in fact I would positively recommend that they didn't. If Best Western run hospitality courses then they should get this owner on one swiftly, as this hotel should be described as Worst Western under his command. We were heading to The Lakes after a hectic stay in Blackpool and chose it because it was on the seafront and the reviews looked good. It is a lovely hotel, very spruce and welcoming. The bedroom was really comfortable with great wifi (refreshing!! ), but the best thing was the quality of food. It was a Sunday night, out of season, but we were welcomed warmly into the delightful dining area overlooking the bay. We were the only customers, but the food was so delicious and fresh! An offer of a free bottle of wine each too! (We were recommended to take one home!) The puddings were heavenly: chocolate ganache with home made ice cream to die for and honeycomb and chocolate 'soil'! Yum!! Lovely waiting staff! Stayed 1 night B&B in room 10. Staff nice overall the hotel was of a good standard and clean. Breakfast was good. The room was fine until bed time. It was very noisy what with people being very loud in the corridors. It was like being next to a boiler house with the heating system very loud. The room door was not a good fit the gap around it let in lots of light, what with the floorboards moving when people walked passed our door. I don't think we will not be visiting again. At £109 for a sleepless night didn't seem worth it. A good 3 star. Room was ok for the price Rm22. The receptionist, Margaret was outstanding with her professionalism, nothing was to much trouble. The bar and food were above average with very friendly staff my colleague and I had a great laugh. A good night sleep followed with a good breakfast next morning. I would stay again. Stayed at the Lothersdale for the second time, but the first since it was taken over by Best Western and yet again a great stay. Easy online booking system. Chose my room based on the online description only to be told there was no shower in the single exec room I had booked (needed this as I have mobility issues and can't manage in/out of a bath). I was upgraded to a double room on arrival, but lost my sea view (not sure that was a bad thing as it was windy/noisy on the front over night!). Hotel has lift acces to rooms and ramps at front and rear. Staff were extremely friendly and helpful. I ate in the Aspect Bistro around 6.00pm, no booking needed. I ordered a selection of 3 tapas and that was more than enough for 1 person, each dish costing around £4.95. Great quality evening food as was the full English in the morning. They also had a selection of cereals and fruit if you wanted a lighter breakfast choice. There is limited parking at the rear of the hotel but there is also parking available on the main road (restrictions apply) or there is a car park opposite. 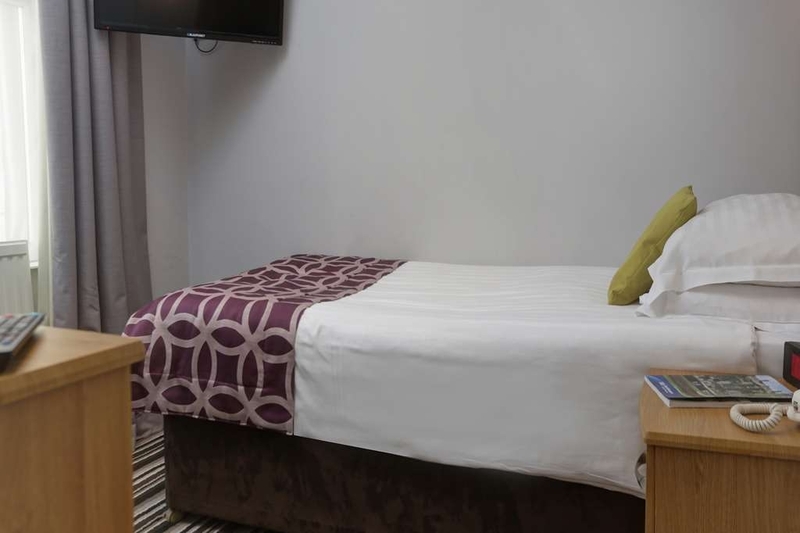 Hotel has great views across the bay and is within easy walking distance to main town areas. Overall another great stay! Stayed here for a birthday celebration. Had a very quick check in and was very pleased with the sea view twin room. It was warm and well furnished. The bathroom was small but quite adequate, with a shower, no bath. We had cocktails in the bar before dinner. Breakfast was very good and checkout was easy and quick. The hotel catered for my wheelchair companion, it has ramps and a lift. Disabled parking is free for as long as you want on the promenade car park opposite the hotel (with a blue disc) there is also a hotel car park at the back of the hotel which we didn't need to use. The hotel faces the sea. Some rooms are to the back. With a small carpark to the rear, there is car park 10 yards along the road. The beds are comfortable, clean . Towels are fresh and changed very day. There is lashings of hot water, some of the bath rooms are on the small size. We were making a brief stay in Morecambe and a friend recommended this hotel. We were very pleased with the welcome shown at reception and this pattern continued in all parts of the establishment we had reason to use. I stayed in a twin "exec" room (15) and the cost was £160 per night based on single occupancy. This was very high compared with other hotels in the area. The room had a great view, but with the curtains pulled the room was below average size and the bathroom tiny and not very well appointed. There was only a small shower cubicle. Hot water took a long time to reach the taps/shower. The single beds were old and not supportive. The towels were thin and well used. The breakfast was poor with limited choice of cold food. Generally compared with local 3* hotels at about half the price the hotel was poor. Good points the reception area was small but pleasant and the reception staff friendly. I would not wish to stay at this hotel again, sorry to be so negative but there is not way to dress it up. Contrary to other recent reviews of the hotel we had a very pleasant stay here. It wasn't our first choice as we were visiting our daughter in Lancaster but as it coincided with the start of the new year at the university we couldn't find anywhere else - if I had read the reviews we may not have booked it. The room we were given had obviously been recently refurbished, it had new carpet and furnishings and was very clean and comfortable. The bathroom had a lovely big shower and was also very clean. We were at the back of the hotel so the view from our room wasn't good but this is quite usual for this age and type of hotel so we didn't expect anything different. Even though our booking didn't include breakfast the receptionist added it on free of charge. It was freshly cooked and delicious and the view from the restaurant over Morecambe Bay towards the Lake District was fantastic ( it was a beautiful sunny morning, so this helped). My only criticism is that the hotel car park is very small and quite difficult to find. The back of the hotel from the car park is very shabby and not at all inviting for a first impression. We discovered that we could park along the seafront without charge or in the seafront car park overnight so there was no need to squeeze into the hotel car park. Thoroughly disappointed with myself for spending money on rooms here. Luckily it was for just one night! Firstly the room was on the top floor right at the back & I suspect it had been forgotten about for a few decades. I'm not at all fussy with rooms, I dont mind basic, cheap, outdated etc BUT this room was filthy and grotty. The carpet has something smeared on it, the bathroom was falling apart, the paper hanging off, the laminate floor rotten. The room faced the back overlooking the late night COCKTAIL BAR - we didn't get to sleep till the early hours of the morning, where we checked out as early as we could. Now, the room my teenage son had was at the front with gorgeous views across the bay. And his room wasn't as grotty though definitely needs to be on the list for a refurb. Hurry up and refurbish all your rooms to the standard of your sleek, modern reception area or stop charging people good money to stay in disgusting, filthy hovels!! I booked the hotel for 3 nights. Then I read the reviews... OMG ! I checked in and was given a downstairs room. It was newly decorated, very clean and the bed was very comfortable. The radiator had a faulty valve, so I was a bit warm, but I reported the fact and the problem was resolved the next morning. The breakfast was very good and nicely cooked. I will be booking again - it is in a wonderful position and you can use the hotel's large car park rather than the "pay and display" over the road. The staff were friendly and polite. Only place in Morecambe with availability rang alarm bells but no choice but to book due to work commitments. First night I had to move due to split booking. Second room was very dirty. In desperate need of overhaul. Paper coming away from the ceiling, and in bathroom. Flooring in bathroom coming up due to leak somewhere behind toilet cistern. Very dusty and damp feeling. The bed headboards were filthy and the mattresses were terrible. Even though I booked a double and was originally planned to stay for several nights, enough was enough. Not helpful having to move rooms mid morning when I was working night shift and needed sleep through the day. Rear car park feels very insecure and terrible lighting to rear door is very dodgy. Avoid at all costs. Complete rip off. "Dirty and uncomfortable. Very insecure"
Bedroom shabby and need of an overhaul. Bedding unacceptable and beds very uncomfortable. Head board filthy. No one on reception when I arrived at c10pm and took a while to raise. My key and details were on open display for all to see and they had a laptop that could easily have been taken. I shall not stay again. 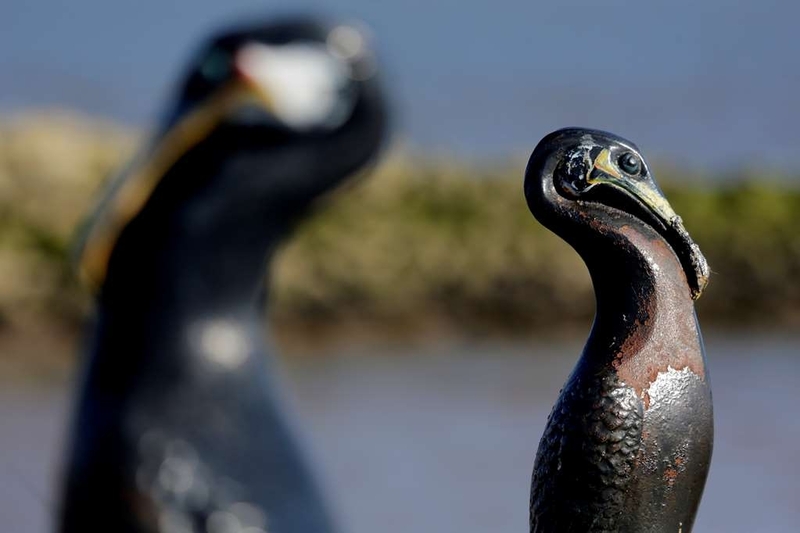 Came to Morecambe as a stopover and booked Lothersdale based on the photos and description on the website. Rooms looked fresh and modern. As we entered our room I was very disappointed as the room was dull and very dated. Wallpaper in bathroom peeling away. The website is very misleading. At the hotel for a funeral tea. The sandwiches were literally thrown onto a couple of platters. No idea what the fillings were without handling them to see. Minimal filling and dry bread. One dour looking member of staff who didn't appear to be interested in helping us. The guy on the outside terrace without a shirt, yuk! Would not recommend. Avoid at all costs. We stayed for 2 nights on a bed and breakfast basis. The room was ok although the the bed was sloping down at one side making it awkward to sleep for one of us and the shower cubicle was very tiny. The bar wasn't very inviting either as they focused on serving food rather than just selling alcohol as they had a Tapas Bar attached to the hotel. The bar also served as the breakfast room which had lovely views over Morecambe Bay and unfortunately that was the only good thing about it. Although the breakfast was edible in afraid the staff were unapproachable and some had soiled clothing. Thank you for your feedback, although we feel it necessary to correct some inaccuracies within. The door in question was an Emergency Escape Fire Door and requests had been made on several occasions that it was only to be opened in an event of an emergency. The member of staff communicated this to your partner, as they were both stood next to a loud speaker it was difficult for both to be heard, but your partner apologised and the matter had come to a close until you joined in at which point as a result of your use of offensive language you were asked to leave the premises. We do not tolerate verbal abuse towards any member of our team. And what it is is a sad,tired old hotel in a sad, tired old seaside resort. There have been attempts at updating the place, but once you get past the facade of Reception and The Aspect bar and bistro, it's like walking back into the 60's. The food at breakfast and dinner is well-sourced, well-cooked and well-presented, but I'm afraid that's the only positive I can find. The standard of accommodation for a hotel in the 21st century is poor, and there is a feeling that the staff know this as they alternate between excessive jollity to excessive misery with no happy medium - almost as if they are embarrassed to work there. But, this is Morecambe after all - and there is only the need for one good hotel in Morecambe, which this certainly isnt. What it is is reasonably cheap, thankfully, so no real cause for complaint - just keep your expectations low. Only stopped 1 night for business. Hotel is easy to find and the location right by the sea is great. There is some parking to the rear of the hotel but I imagine if its busy there may not always be a space available to you. The entrance to the rear of the hotel from the car park leaves allot to be desired, bit of a damp dark alleyway. Being on business i was unfortunate to be on the lower ground floor, obviously no good if you are looking for a sea view, the fact the bar or restaurant was just above also doesn't help if you are after na early night, so I would avoid these basement rooms if possible. 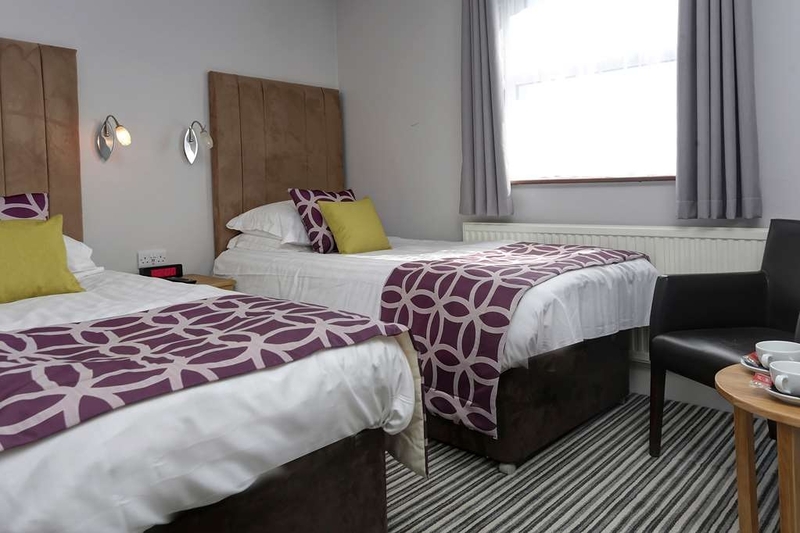 The room itself was very basic, out dated and a bit run down which is a shame as the bathroom was lovely and bright and clearly recently refurbished so hopefully they carry that through into the main rooms soon. Staff were a good laugh and very helpful and friendly! All in all its not a terrible place if you are looking for a budget stay. The location is as we wanted .. On the front... We had 3 rooms all small and a bit old fashioned, but fair for the price! The breakfast was top quality which is essential to me in a hotel. The restaurant is really excellent and the staff are terrific. The bedrooms were too hot for comfort and very small. Lovely surroundings , great view , good service, p,easing staff. Afternoon tea-sandwiches were lovely , scones dry , cake dreadful , pana cotta too sweet. Ate sandwiches and scone on site rest brought home In A doggie bag I doubt if any of the patisserie was made on site , very mass produced , the brownie was over sweet , the carrot cake one of the worst I have ever had and the topping dreadful. The doggie bag of stuff I brought home ended up on the garage roof for the gulls . We stayed here for two nights in room 24 , it was quite small but very clean and comfortable with a small bathroom with a shower again very clean . 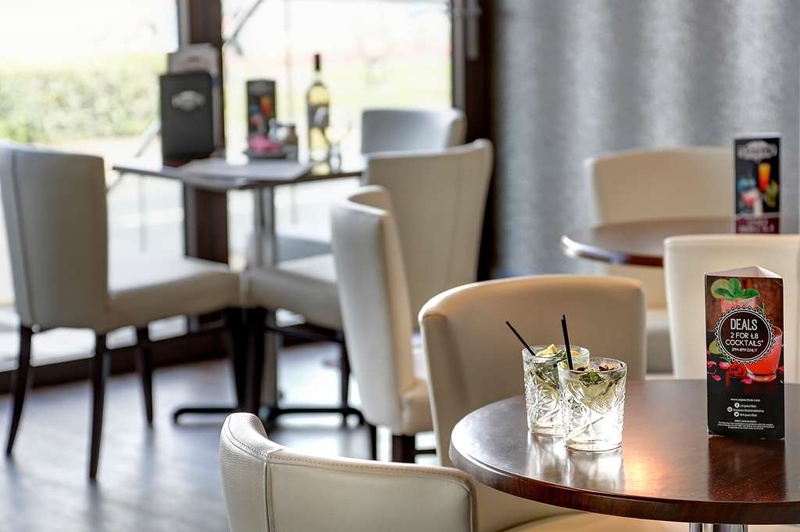 The dining room and lounge bar has a lovely view of the bay . The food in the restaurant we found was very good and a nice varied menu . We also enjoyed the breakfast with plenty of choices .